University Dancers celebrates thirty-four years of engaging dance with our annual concert, IN/MOTION, that brings the work of innovative and talented choreographers Robert Dekkers, Norbert De La Cruz III, Francesca Harper to the University of Richmond. Francesca Harper returns to Richmond to create her second premiere for University Dancers. Hercritically acclaimed work spans genres from theatre to concert dance (William Forsythe’s acclaimed Frankfurt Ballet) to Broadway, cabaret, theatre, and film. 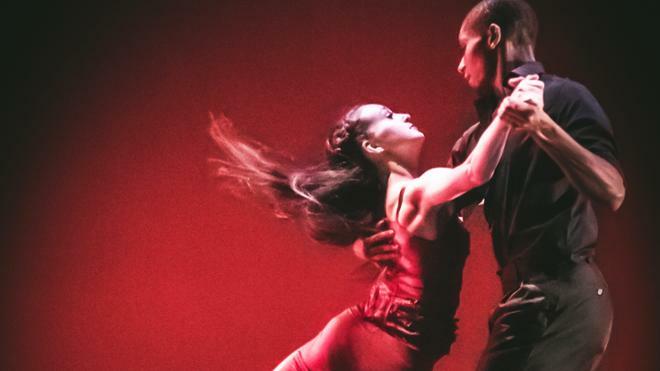 Norbert De La Cruz III’s award-winning choreography receives positive reviews. He is praised for his combination of athleticism and aesthetically dynamic shapes and forms and we are excited to bring him back to Richmond for his third commission. Making his choreographic debut in Richmond, San Francisco based artist and educator Robert Dekkers’ work has been hailed as cerebral and cutting edge. Robert Dekkers is founder and Artistic Director of Post: Ballet whose collaborative approach seeks to break down barriers and cultivate deeper connections.